Girls Club at the Red Rose School Are Set to Transform the World. It has been an exciting month for the LitWorld girls. Putting their heads together and exhibiting great teamwork, the girls have been busy with their poster collection project. They collected posters with images or writings that they felt depicted various social problems as well as their possible solutions. They also came up with very interesting magazine and newspaper cuttings that had variety of pictures that portrayed global issues ranging from environmental consciousness, poverty, women and children’s rights, illiteracy, health and sanitation among others. These are common problems that are experienced in all communities and societies around the world. From the posters collected the girls learnt that the whole world would be in a crisis if everyone did not live and act responsibly. The girls also took time to discuss each image, what global issue it represented as well as the social political and psychological aspects that revolve around that issue. The girls felt that lack of education is the most glaring problem in relation to their circumstances. This, they felt, called for greater emphasis and should be accorded the importance and prominence it deserves. They singled out the need for basic education as this would essentially help offer solutions to the nagging social and economic problems. Each of the girls also wrote a statement, sharing what they felt they would do if they had a chance to change a particular thing about the world. The team was motivated by this exercise and was greatly encouraged. Having a desire to transform the world, they clearly demonstrated this by pinning posters that had images of personalities they admired onto an inspiration board. At the end of these sessions each girl also wrote a letter to the world. In their letters to the global community and government representatives, they expressed their concerns and suggested solutions to what they considered common social and economic problems. Each girl read aloud their letter to the group and felt happy to share their views with the other LitWorld Girls club partners. The club proved that indeed every small voice, every whisper can indeed turn out to be the collective voice of conscience that this world so much needs. 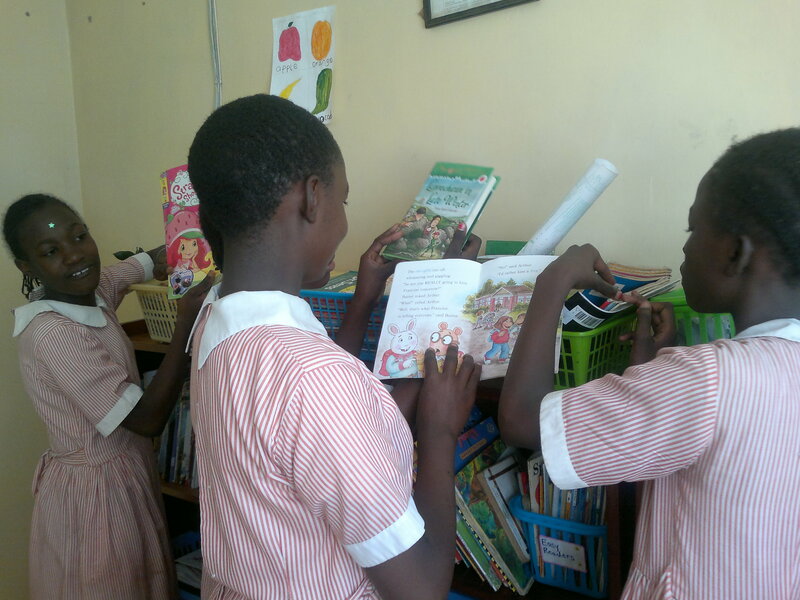 ﻿- Written by Brenda Ochieng, LitWorld Girls Club Facilitator, Red Rose School in Kibera, Kenya. Red Rose School in Kenya Connect with Girls Prep School in New York City! Recently, the Girls Club in Kenya (Red Rose School) and the Girls Club here in New York City (Girls Prep School) got a chance to connect on real time through the power of technology! The Girls Clubs for Literacy aims to create a global sisterhood, so this opportunity for the girls to see and speak to each other face to face builds a bridge between nations, no matter how far apart in distance. The girls were able to communicate at 9 AM New York City time and 4 PM local Kenya time. Check out their photos below! We look forward to connecting more girls across the world! This is a great beginning to the adventures to come in the new year.